The Leviton CS1202E is a singlepole switch from Leviton's product line of Commercial Specification Grade switches. This particular model comes in black. This singlepole switch is perfect for use in government buildings, municipal facilities, department stores, malls, health care facilities and hospitals, office buildings, universities, colleges, schools and cultural institutions. It is designed for top performance and fine appearance. This model features impactresistant thermoplastic nylon body. Leviton offers switches in a wide variety of wiring options, colors and other features. Among them are 15 and 20 Amp commercial switches. This is a grounded type unit. The Leviton brand offers you the highest in production standards according to National Electrical Manufacturers Association. 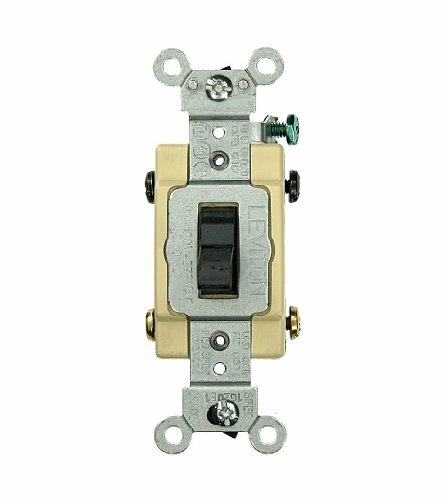 The Eaton CS120BK Commercial Grade Single Pole Compact Toggle Switch is engineered for reliable performance and ideal for use with fluorescent lighting fixtures. This switch is made for commercial applications and features a heavy-duty cam action mechanism for quiet switch action. Side wire terminals accept up to no. 10 solid or stranded wire. 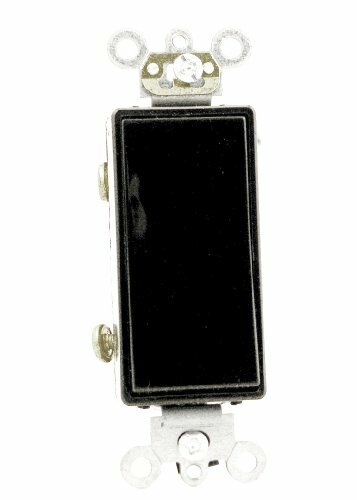 This toggle switch is rated for 20-amps, 120/277-volts and has color-coded strap markings to identify amperage. Blue markings indicate 15-amps and red markings indicate 20-amps. 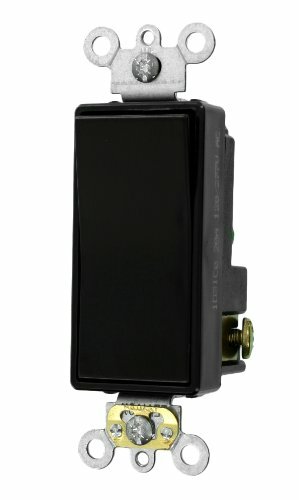 This toggle switch comes in a black finish .The Eaton CS120BK Commercial Grade Single Pole Compact Toggle Switch comes with a 10-year limited warranty that protects against defects in material and workmanship. Eaton offers innovative wiring solutions that increase productivity, energy efficiency and safety on the jobsite and at home. Their expansive offering includes code compliant devices for single and multi-family homes or residential development projects. Eaton has been a trusted name in electrical products for over 175-years and is headquartered in Peachtree, GA and has international manufacturing and distribution facilities. 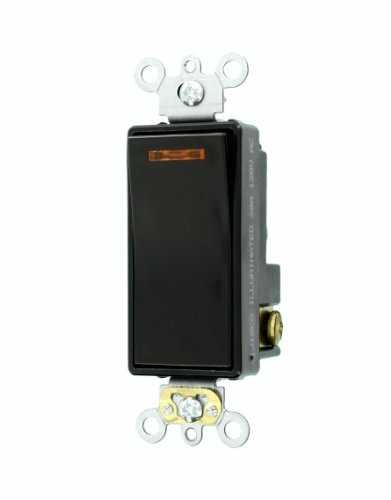 The Leviton CS3202E is a threeway switch in black from Leviton's line of Commercial Specification Grade switches. This model is perfect for use in municipal facilities, healthcare facilities, government buildings, office buildings, department stores, malls, hospitals, schools, and many other locations. This threeway switch is designed for top performance and fine appearance. The Leviton CS3202E features an impactresistant thermoplastic nylon body. 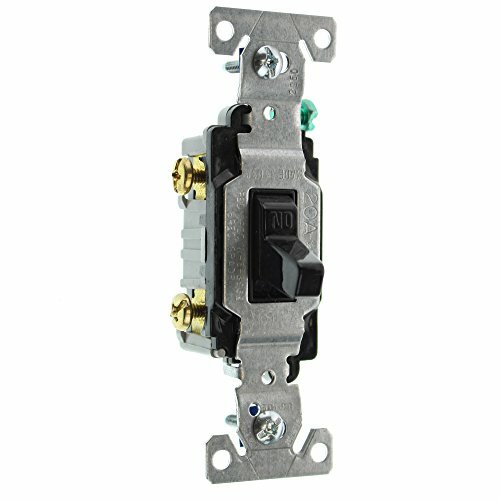 This switch in particular is 20 Amp, but there are 15 Amp commercial switches also available. This is a grounded type unit.